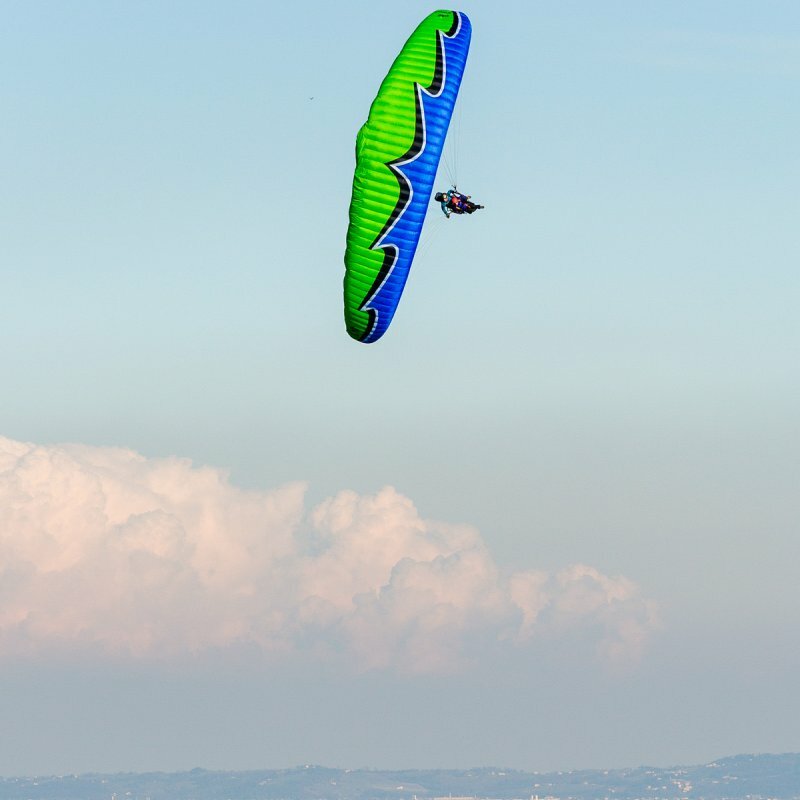 It’s time for a new interpretation of flying tandem. 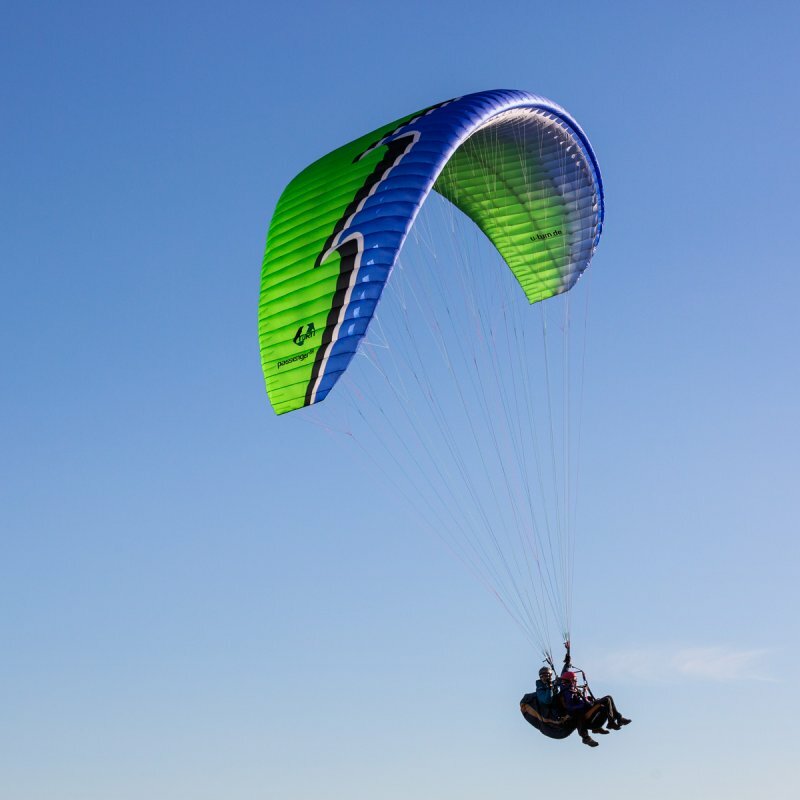 The PASSENGER 2 brings the agile solo handling to the two seater class for the first time – high turn propensity with low control pressure are making the PASSENGER 2 a very efficient work tool for every tandem pilot. The PASSENGER 2 combines high performance with highest safety and is putting the fun in flying first. The advanced two seater is available in two configurations as GT or Pro version. The PASSENGER 2 is newly designed from scratch. Much value was placed upon the first class handling, which is clearly noticeable through the low control pressure. The double seater reacts precise and without any delay to the smallest control pulses and is therefore easily steered into curves. Therefore it can easily happen that you forget you are flying a tandem right now. Although the PASSENGER 2 makes up for its surface area, when it comes to the performance the surface area has a double effect. The PASSENGER 2 is working very efficiently in the thermal lift and reliably transforms it into height. And even the glider stands solid in turbulent air it facilitates precise feedback and a direct flight feeling. The sharknose is providing high stability and an extended inflow area. When it is about brining passengers in the air, passive safety has doubled priority. The canopy reactions looks accordingly moderate and very damped, that provides calmness in every situation. Low weight of the canopy with high durability – that is what the intelligent material mix and the high quality processing of the new PASSENGER 2 promises. The top materials Dokdo 30 and Dokdo 20 are providing a low weight at high abrasion resistance. 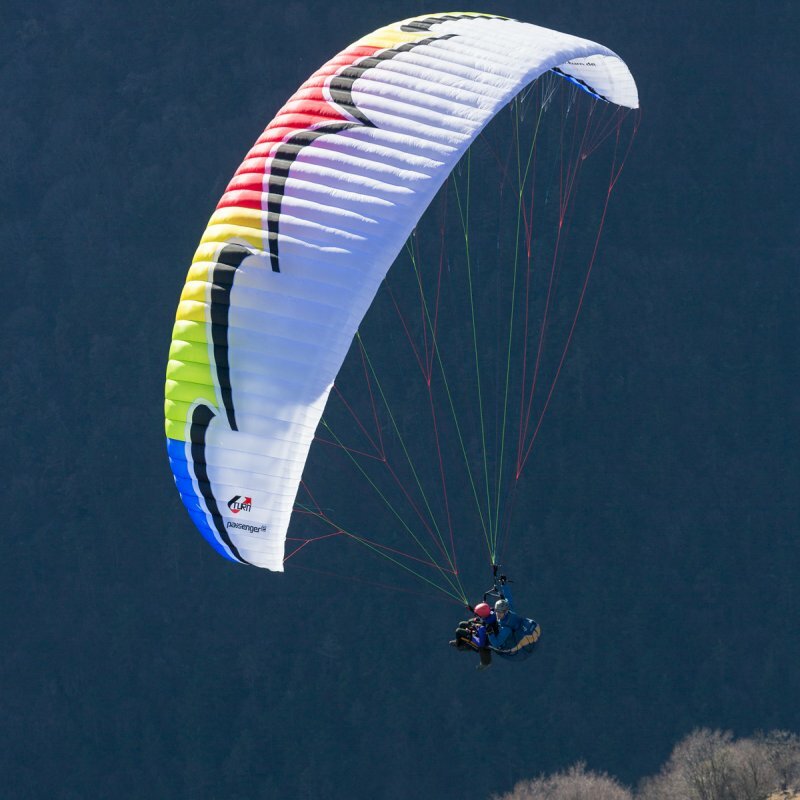 At the PRO version the specifically developed PX40 material from the acro area is used. The extreme resistance to abrasion and tearing is especially noticeable during the return on investment of professional tandem companies. The PASSENGER 2 is covering a high weight range for a start weight from 140 kg up to 230 kg for one and two seated flying. The PASSENGER 2 is available in the versions GT and PRO. Both versions have the LTF/EN B certification. 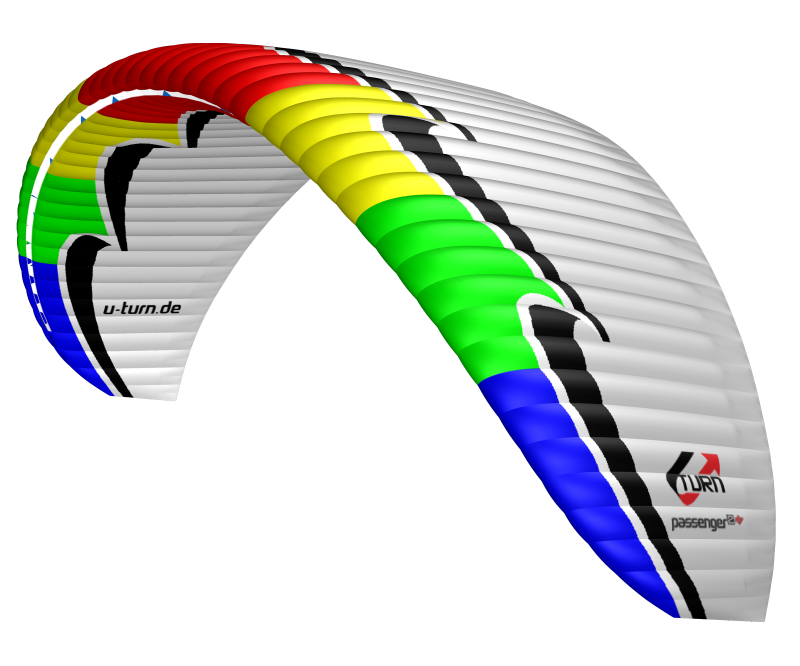 The PASSENGER 2 is aimed at all tandem pilots who are looking for a highly developed two seated wing from the newest generation. Agile handling combined with performant glide- and rise features are easy on the resources of the pilot on cross country flights for two. Chief designer Ernst Strobl equips the PASSENGER 2 with various constructive innovations. The PPN and the sharknose are providing a higher profile fidelity alongside the cell opening. 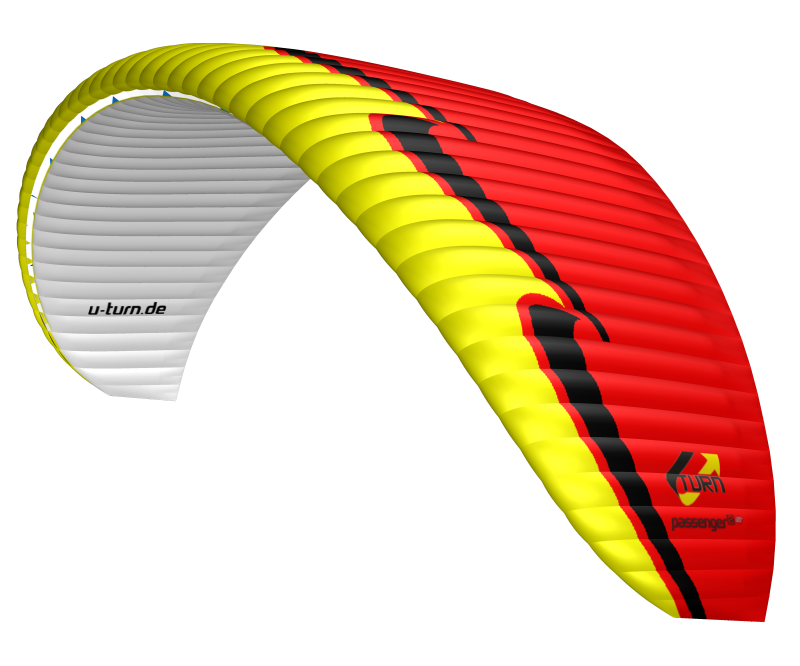 Elaborate calculations of the ballooning in combination with the optimized pre-tensioning of the wing are ensuring the perfect flow around the profile. The High Pressure Crossport Design (HPCD) provides an ideal cross aeration of the crossports and ensures a balanced internal pressure in the whole wing. In the rear part of the wing Miniribs and the Break (ßACHTUNG DA HAST DU IM DEUTSCHEN EINEN TIPPFEHLER DRIN) Gathering System (BGS) are providing an efficient force transmission of the brakes. The riser is equipped with an innovative trimmer system. The effective system prevents the warping of the profile, through not only accelerating the D and C level, but also the B level is being changed in relation to the angle of attack. Through that the form of the profile is being maintained, which leads to better gliding. On the D-riser a special clamping device is mounted, which allows the pilot to fixate the brake lines in any position. Therefore even in turbulent conditions, you can take care of the passenger. A separated A-riser offers an easy way for doing Big Ears. 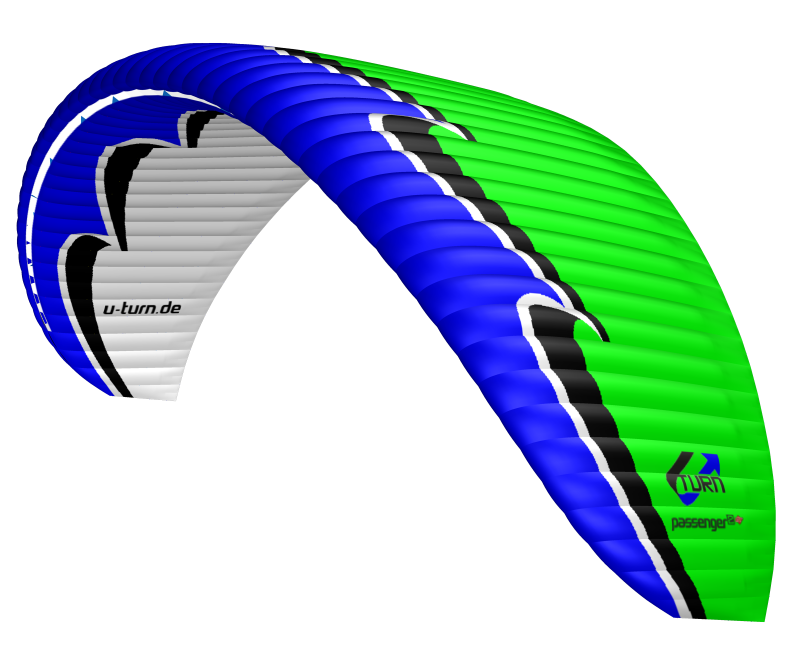 Arrange your test flight and experience a new interpretation of tandem!